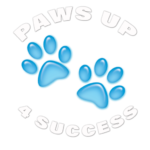 The world is filled with excellent positive dog trainers who are willing to work together to help families and dogs. If you need information you won’t go wrong searching on these sites. Interested in learning more about Dog Training – check out some of these organizations. Interested in becoming a Dog Trainer? Here are my favorites books for your personal dog library. I have linked most of the book titles directly to the authors – their hard work and wisdom deserves the reward. Gabor Korom, Dogschool of Népsziget, Hungary — Mirror Method training incorporates positive reinforcement through the use of a clicker. The trainer teaches the dog by encouraging it to mimic his or her actions by three basic strategies.